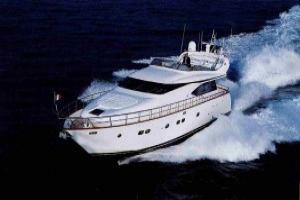 Luxurious yacht that accommodates up to 7 guests in 3 luxurious cabins. 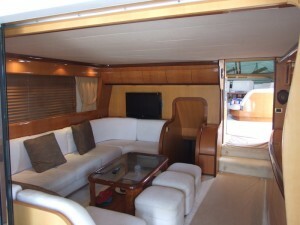 She has a warm and relaxing interior finished in Mahogany and pastel fabrics. 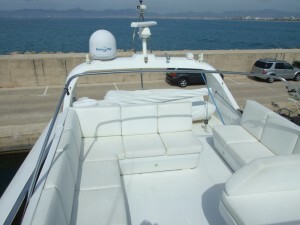 The top deck is dedicated to the use of her guests with huge sunbathing and dining areas. 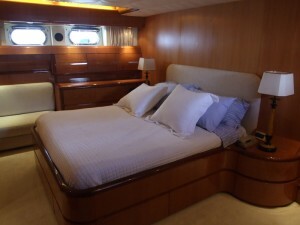 There is easy access to the sea from her large swimming platform on the aft deck. 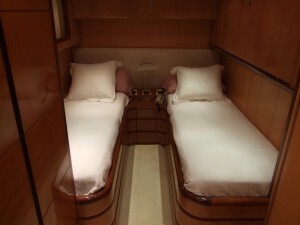 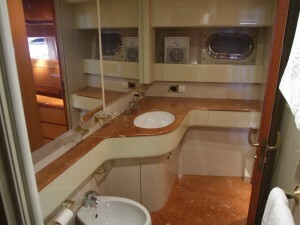 She has a vast master stateroom with king-size bed and a 2 twin cabins, all with ensuite bathrooms. 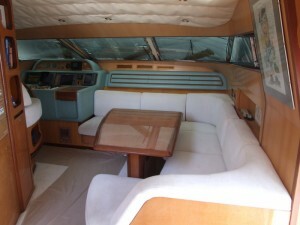 ©2010 salymar.com All Rights Reserved.